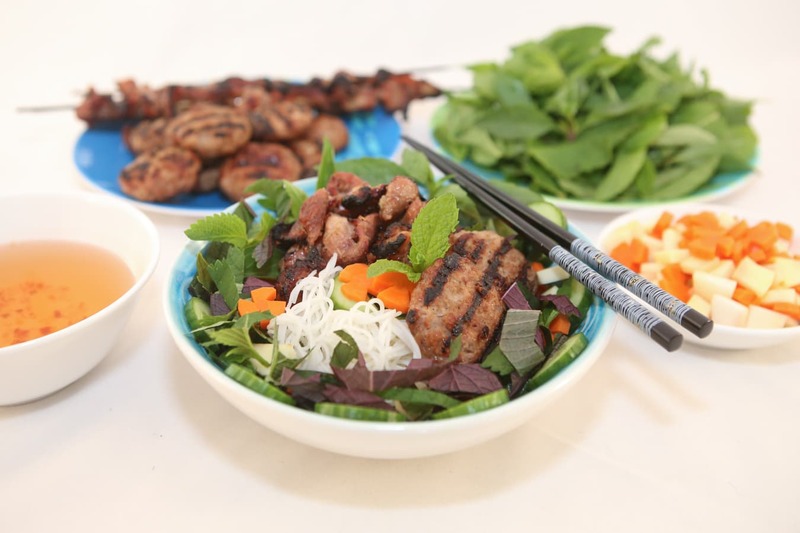 This dish is the perfect combination of smokey grilled meats, springy rice noodle, fresh herbs and tangy pickles. Of course we can’t forget the essential dipping sauce which brings the whole dish together. Serve it as a cold salad by mixing all the ingredients together. Add the dipping sauce just before serving or serve on the side. Enjoy! Coarsely chop the fresh herbs. Thinly slice the cucumber. Layer rice vermicelli on the bottom of each bowl. Sprinkle fresh herbs along the edge of the bowl and add the cucumber slices. Add the grilled pork on top of the noodles. Top with the pickles and garnish with more fresh herbs. Serve with the dipping sauce. Need a refresher on the different Asian herbs? Check out my quick Guide to Vietnamese Herbs. Peel the carrots. 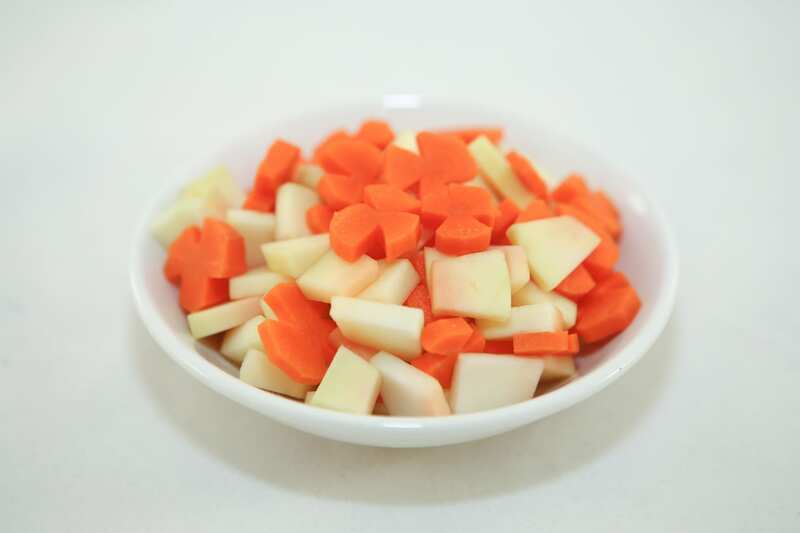 Cut along the length of the carrot and remove a small v-shaped section. Repeat this step, cutting around the carrot and make a total of 3 v-shaped cuts. Now cut the carrot into thin slices about 1/4-inch thick. Peel the green papaya. Cut into wedges and remove the seeds. Slice the papaya into thin slices about 1/4-inch thick. In a large bowl, whisk together water, vinegar, sugar and salt until dissolved. Add the carrots and papaya and marinate for at least one hour. Drain the vegetables of the pickle juice before serving.